The charity experience is being redefined – thanks to social media. The growth of digital technology has transformed the way in which charity events are planned, marketed and delivered. Thanks to social media, it’s never been easier to raise awareness of different causes and promote upcoming events to your prospective guests. 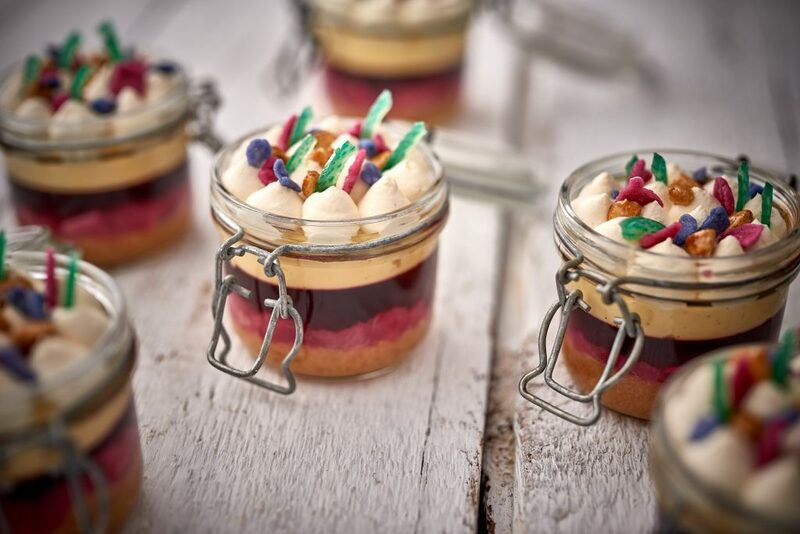 This event evolution demands top ideas for party food at your next charity event in London! Want to inspire people and attract as many guests as possible? 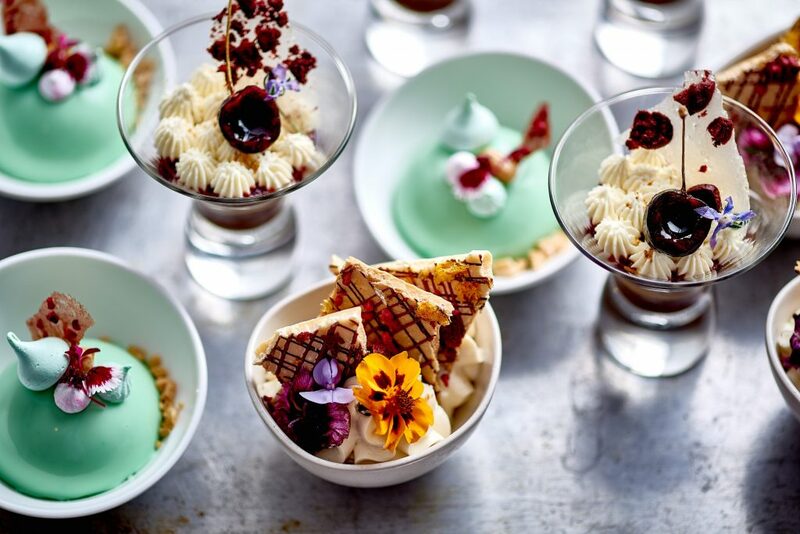 Then post photos of the delicious food at your last charity event (on sites like Twitter, Instagram or Facebook) to get everyone’s taste buds rolling – and give them an idea of what they can expect this time round. Then ask people what kind of cuisine/ingredients they’d like to see at your next charity party so you can get even more ideas for party food. With a buffet, you’ll be able to invite significantly more guests, because venues have higher capacities for these types of events than seated dinners. 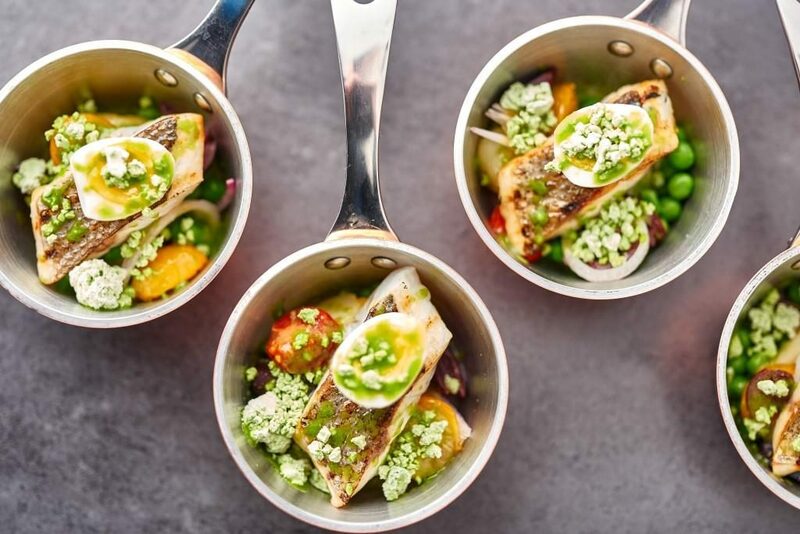 Think of food that’s photogenic and accessible – well-presented bite-size portions that can be enjoyed without having to use a knife and fork. So something along the lines of delicious herb-infused Scotch eggs, bruschetta, prawn skewers, chocolate espresso cups, mini French tarts, goat’s cheese and salmon bites, and so on! All excellent ideas for party food at any standing reception, from charity parties to conferences. Create, our award-winning catering partner, provides mouth-watering canapés with offerings ranging from cucumber-cured scallops to ham hock and pea rillete. Create also offers innovative food stalls, where guests can choose anything from Afternoon Tea delicacies to delicious barbecue cuisine. These are perfect options for standing receptions (and venues have higher capacities for buffet-style events compared to seated dinners – meaning you can attract more guests and raise even more funds). Choose a charity event caterer that takes pride in ethically produced food, locally sourced wherever possible. Promoting sustainability is also a great way to demonstrate your brand values and commitment to protecting the environment. For instance, instead of sending invitations to hundreds of guests by post, you could send people mobile-invitations to save on paper. Champagne might seem inseparable from any sort of special occasion, whether it’s a charity event to a wedding or a Christmas party. However, prosecco, cava or English sparkling wine are much cheaper alternatives that can still help you create that all-important wow factor for your London charity event. Choosing these champagne alternatives will help you stay within your budget – meaning you’ll have more money to spend on great food! Planning a charity event soon? Then get in touch with Ultimate Experience, one of the leading events management brands in the country. If you have a particular venue in mind, let us know and we will schedule a private viewing.